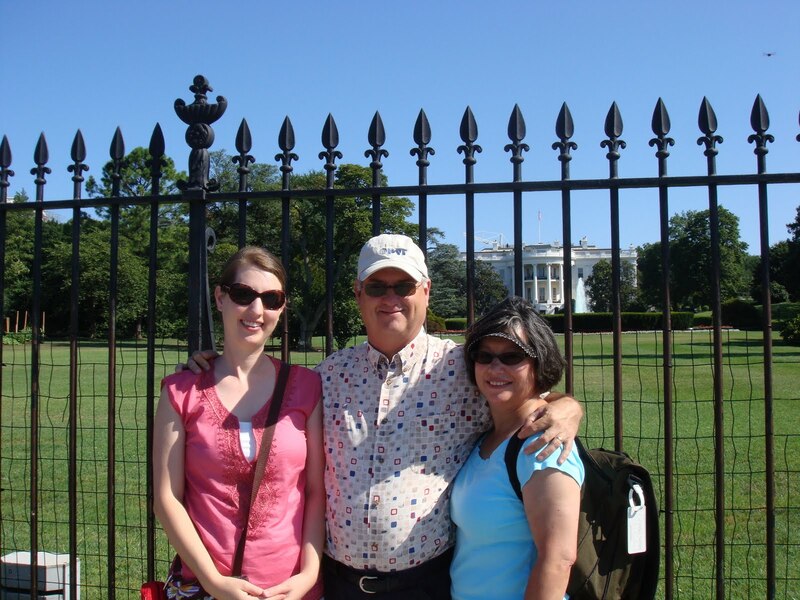 I recently went to Washington DC for work, but was able to spend some time the weekend before site-seeing with my mom and dad. Friday night my mom and I went to Charlie Palmer Steak, across Constitution Avenue from the Capitol. 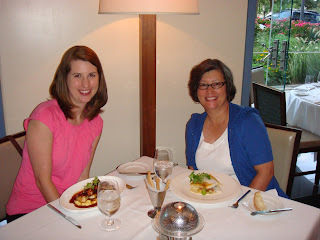 We shared the crab bisque, served cold with lump crab in the middle. The bisque was super creamy and so good! For our entrees I got the Roasted Diver Sea Scallops (couldn't pass up scallops!) with braised smoked pork belly, anson mills polenta, and carmalized shallot. My mom got the Line Caught Alaskan Halibut with sweet corn and fava bean succotash with crisp red onion. The meal finished with a two each of three different truffles. Mmm Mmm! Saturday for lunch we ate at Good Stuff Eatery, behind the Library of Congress and the Capitol. My husband and I became aware of Spike Mendelsohn on the 4th season of Top Chef (one of our favorite shows). So had to try his restaurant since in DC! I got the Good Stuff Melt (so much cheese!) and my mom got the Colletti's Smokehouse (cheese, onion rings, and BBQ sauce, wish I could have eaten both!). We both washed our burgers down with hand made milkshakes. Off to more site-seeing! Another exceptionally good meal was lunch at Oyamel near Penn Quarter. The three of us shared the guacamole, made table side. I got the "Ceviche de hiramasa", consisting of Australian yellowtail served with fresh hearts of palm and baby cucumber salad, passion fruit, vanilla and rose. This was the most amazing ceviche I've ever had! I wish I had taken a picture. It was a beautiful dish. I had tastes of both my parents dishes too, all were super delicious! Must go back! In Georgetown, we stumbled upon a little Italian restaurant Ristorante Piccolo. All I need to say is that I can't wait to go back!! Also glad we made the walk down to Georgetown Cupcake. So rich and sweet but so good!! The line was out the door and around the corner by the time we left; the cupcakes are that good! Overall a great trip to DC, one of those towns where it's hard to get a bad meal, and have plenty of great places to go eat! And of course the site-seeing was fun too!